Do inner doubts, poor organization and the everyday demands of life stop you being the creative person you want to be? Have you been producing good work but now feel blocked? Perhaps you feel ready to step up to the next level. Or maybe you’d like to introduce more order and space into your daily creative life. My name is Andrew Leigh. For over a decade and a half of coaching I’ve been helping writers, artists, musicians, dancers, ceramicists and even an opera singer to move forward in their lives and their art. I love working with creative, artistic people, and gain as much joy working with someone fighting to make space for their creativity as those already immersed in their artistic field. And because I carry my natural warmth, friendliness and humour into my coaching relationships, my clients enjoy working with me too. So when we work together, there’s a good chance we will smile and laugh together. Even so, you will find that I am deeply committed to helping you achieve your goals. I will help you find and maintain focus, stay on track and overcome your barriers to change and achievement. If you look around the Pathways Coaching site (of which this page is a part) you will see that I have immense experience coaching people from all walks of life – from lawyers, medics and company directors to homemakers and managers. I help my clients make changes at work and in their home life. I bring this additional wealth of experience with me when I work with you. 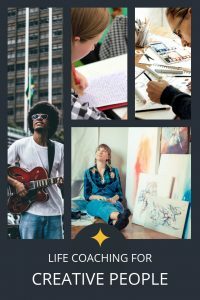 Whether you want to focus on your creative art, your life, your inner barriers, or a combination of the three, I’d love to help you make those positive changes. Working with Andrew has allowed me to pursue a long-cherished personal creative project. I have made fantastic progress in a short space of time. Danny Broderick, Course Tutor of the Writing Squad, and Associate Lecturer in Writing at Sheffield Hallam University. Understand your underlying artistic themes. What’s your work really about? 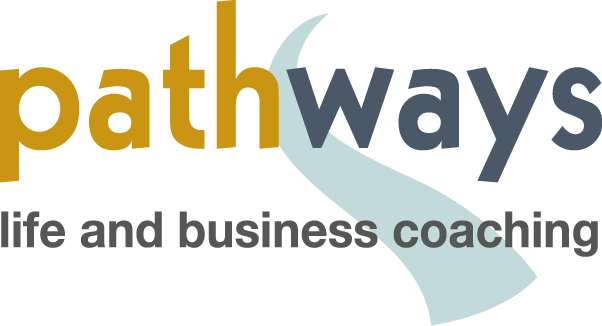 How does Pathways Creative coaching work for you? Good coaching is naturally a creative process. It encourages you to find creative options where previously you saw none. It enables you to visualize outcomes, to see the world from perspectives other than your own, to find clarity about your feelings and an understanding of your motivations. And as a result of doing all that – it empowers you to achieve what you want to achieve and to live how you want to live. All of this is of itself part of a creative process – because if redesigning and reshaping your life isn’t creative, then what is? So, what is the difference between my ‘mainstream’ coaching and ‘Pathways Creative’ coaching? The answer is simply one of focus. The whole of the coaching process is primarily focused on you achieving your creative needs and desires. But this is done by taking the rest of your life into account too. You may simply need to find focus and motivation – or there may be bigger challenges – anything from starting and completing a novel, to building a creativity-based business. Whatever, the overall goal is for you to find a fulfilling route to creative productivity. How can Pathways Creative help you? Talk with the coach with your free consultation. I have no doubt that without Andrew as my life coach my book would still be just a dream instead of in the hands of a publisher. Partly the power of coaching comes from what it’s not: it’s not teaching or tutoring and it’s not someone giving you ‘advice’, or worse, just telling you what they think you should be doing. Instead coaching helps you access and clarify your own deep understanding of yourself and your needs. It helps you identify the things that free you up to be at your best, and the fears, doubts and barriers that freeze you solid. Perhaps most important of all – it empowers you as a decision maker and an action taker. Thanks so much for everything, I’m really getting a lot out of this! And I am recommending you to my friends!! Find out more with your free trial coaching session and consultation.